Perfect for engineering and construction applications. 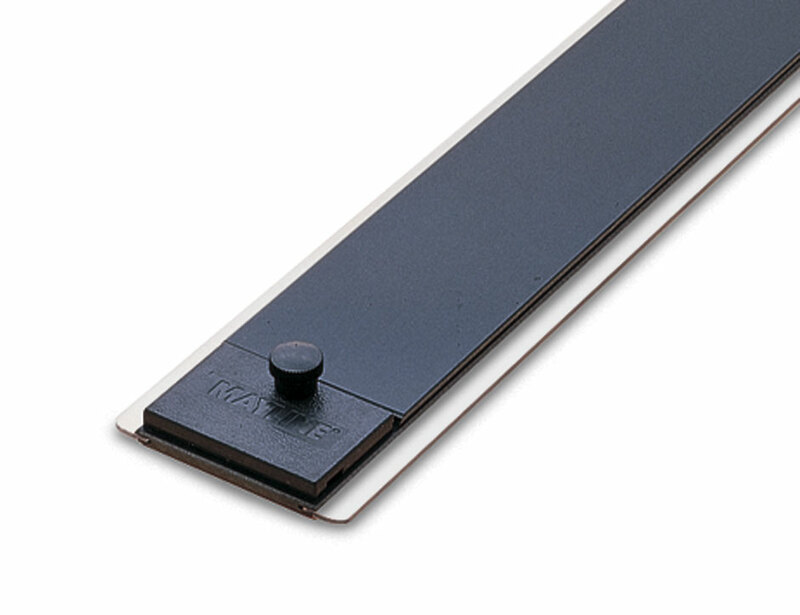 Every Mayline parallel ruling straightedge begins with a durable, black laminate base inserted with a transparent blade for see-through registration and fine line quality. The best straightedge and the industry standard in parallel bars. For those who work with a variety of surfaces, we designed a straightedge with retractile, ball-bearing rollers of metal or Delrin(plastic) built right into its base. They literally float over any surface whether it’s paper or film. 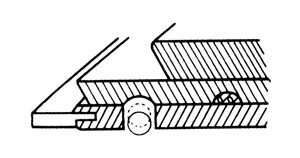 The rollers come in chrome-plated brass or plastic. We recommend the with Delrin rollers for use with drafting films. EZ Grip has a raised middle bar that makes moving the straightedge easier. Professional quality, made in the U.S.A.